You can have a beautiful website, with lots of useful content, and still not get clients. One thing that's often missing from these websites is a call to action. In other words, you need to make it clear what people should do next if they want to go deeper. There are lots of different potential calls to action. Some coaches focus mostly on getting email sign ups. Other coaches just have a contact form. 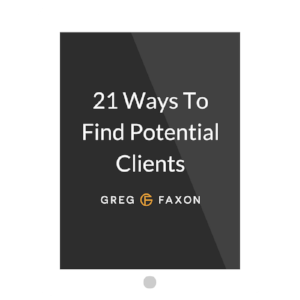 But one of the most direct ways to get paying clients is to have a "work with me" page. In this week's video, I show you how to create a "work with me" page on your website that can help you get clients quickly. I also walk through the six critical components of a compelling work with me page. Note: Here's an example of the Work With Me page I reference in the video.